My upholSTORIES exhibition is up. So until the middle of May I’m going to be a regular couch potato… making the gallery space my office for a couple of hours each day as I work on a writing project while also taking in the fact that my pictures of street furniture surround me on four walls. And people are looking at them. And the people are marvellous! This is my favourite part, the chatting. Which is the whole point. 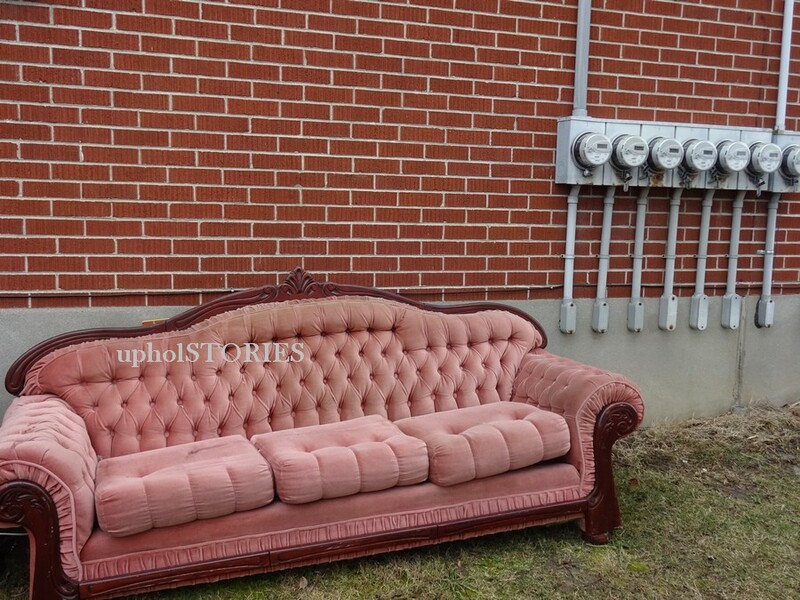 It’s not about the pictures, it’s about what happens when people see the pictures and are reminded of their own stories of couches in their past. The photos are merely a way in. Today a young man stands in front of one of my favourites… pink velvet with elaborately carved wood trim and legs… and tells me it’s exactly like his grandmother’s and that he was just sitting on it yesterday. The way he smiles when he says it makes me think he’s often at his gran’s… that tiny comment is just so filled with good vibes about their relationship. And then I wonder if he’ll tell her about the photo next time he’s there. And I wonder if she’ll tell him about her couch, things that would never have crossed either of their minds… maybe about the day she got it, or the party where someone spilled sherry or iced tea or how, maybe, someone else was proposed to while sitting right there where he sits now… and if so, I wonder where that conversation will take them that they may not have otherwise gone. of The Robert McLaughlin Gallery. Reception, Friday, May 5th, 7-9 p.m. 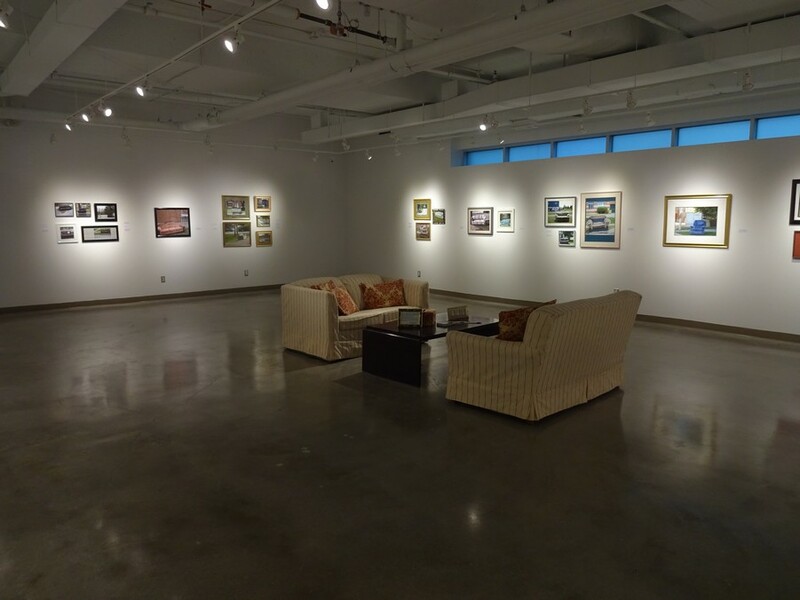 Artist Talk — Sunday, May 7th, 1-3 p.m. I wish I could come see it!